Pre-requisite for this class, is a solid understanding and application of the principles of digital photography and how to use your camera in MANUAL mode. This class is geared toward individuals who want to take their hobby to the next level, or for those wishing to start a successful photography business. Open Q&A about anything you ever wanted to ask a professional with a successful business! 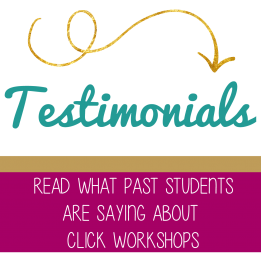 Alumni from the Intro class receive a discount on the Advanced Workshop! The cost for this workshop is $245.